The Navy’s fifth Mobile User Objective System (MUOS) satellite is awaiting countdown for launch at Cape Canaveral, Fla., June 24, during a window from 10:30-11:14 a.m., EDT. A live launch broadcast will begin at 10:10 a.m., EDT, and will be viewable as an online webcast at http://www.ulalaunch.com. In partnership with the Air Force Space and Missile Systems Center and the 45th Space Wing, the Navy Communications Satellite Program Office (PMW 146) is prepared to launch the MUOS-5 satellite, an on-orbit spare that will complete the five-satellite constellation. MUOS provides improved secure satellite communications around the world via an Internet Protocol-based system, equipping tactical and mobile warfighters with cell phone-like capabilities such as crystal-clear voice quality, excellent call completion rates and the ability to use voice and data simultaneously. 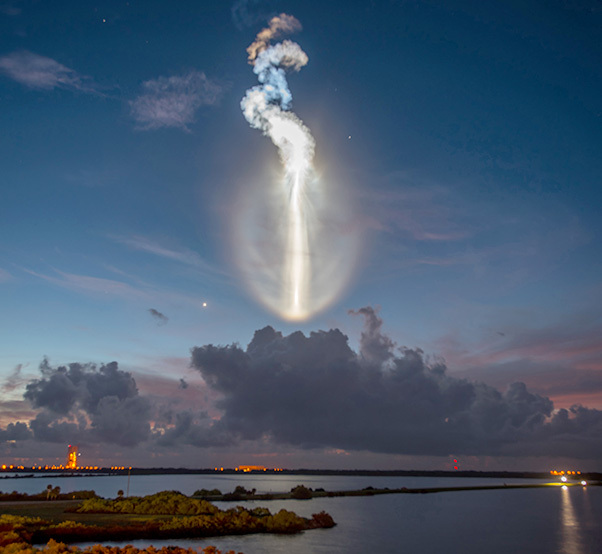 The U.S. Navy’s fourth Mobile User Objective System communications satellite, encapsulated in a 5-meter payload fairing lifts off from Space Launch Complex-41. The MUOS 4 satellite will bring advanced, new global communications capabilities to mobile military forces. 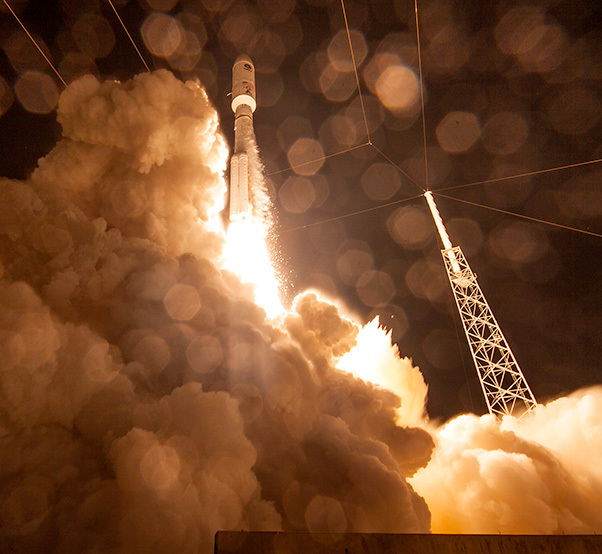 “With this fifth satellite, MUOS completes the current constellation bringing additional UHF (ultra-high frequency) capacity, as well as providing the assurance of an on-orbit spare for the new Wideband Code Division Multiple Access capability,” said Capt. Joe Kan, PMW 146 program manager. MUOS is operational today, supporting unrestricted operations via the satellites’ legacy payloads that provide ultra-high frequency satellite communications for the DoD and mitigate potential gaps in UHF communications capabilities. The system’s wideband code division multiple access (WCDMA) capability has been demonstrated through exercises with warfighters on terminal platforms from the Army, Air Force, Coast Guard and Navy–to include troops on the move, C-17 aircraft in flight, Coast Guard vessels in the north and south polar regions and the Navy’s OE-538 submarine antenna. 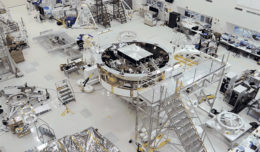 MUOS provides satellite communications in the UHF narrowband spectrum, which represents more than 50 percent of all DOD satellite communication users. The system is designed to support users who require greater mobility, higher data rates, access to Defense Information Systems Network voice and data services and improved operational availability. The first four MUOS satellites are in their operational slots and providing legacy communications capability from their geosynchronous orbits. The MUOS constellation and associated network will extend narrowband communications availability well past 2025.